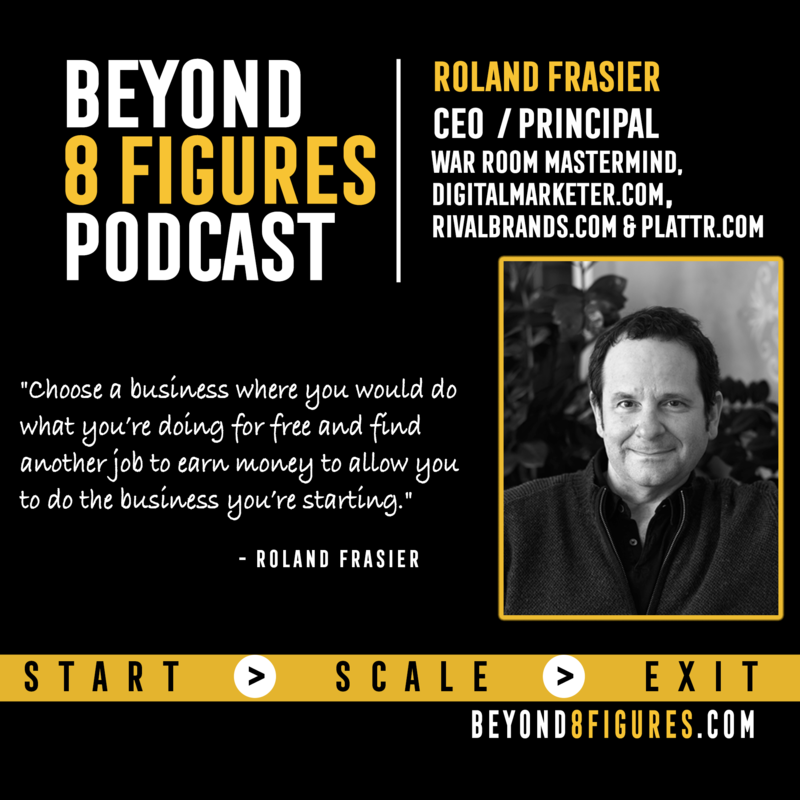 Roland Frasier talks about business from an equity and acquisition standpoint and how thinking outside the box can bring success and fulfillment in the business world. Co-founder and/or principal of multiple Inc. Magazine fastest growing companies (e-commerce, e-learning and SaaS). Serial entrepreneur who founded, scaled or sold two dozen different businesses ranging from digital commerce to consumer products to industrial machine manufacturing companies with adjusted sales ranging from $3 million to $337 million. Currently CEO of the War Room Mastermind and principal in DigitalMarketer.com, Traffic & Conversion Summit, Praxio.com, Plattr.com, TruConversion.com and Real Estate Worldwide. Through War Room Roland advises over 150 major companies on digitally centric customer acquisition, monetization, referral, retention, revenue and growth strategies. Roland began his business career selling real estate when he was 18 and gradually moved into real estate syndication and business investments. After law school, he started his own law practice and grew it to one of the top firms in San Diego providing services to entrepreneurs, business owners, marketing and entertainment industry clients. Roland's work includes infomercials with Guthy-Renker and K-Tel, publishing deals with Simon & Schuster & Random House, shows with major hotels on the Las Vegas strip, over 100 private and public offerings, running an international hedge fund, advising major brands on a variety of business and legal related issues (from PepsiCo to MacDonald's). Roland has a real passion for business and putting deals together and is always looking for businesses to buy, re-position and sell. Recent strategic partnerships and clients include Microsoft, Infusionsoft, Etihad Airlines, Harper-Collins Publishing and Uber.